Got a foodie on your gift list? Want to learn to cook from Chicago area chefs? You're in luck, because one local store offers solutions, and there's a sale. 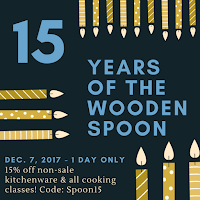 Thursday is the one day of the year when you can get a 15% discount on both non-sale items and cooking lessons from the Wooden Spoon, which celebrates its 15th anniversary on December 7th. Fifteen years is a long time for a locally owned business to thrive, particularly in Andersonville, where competition and rising rents make longevity a challenge. 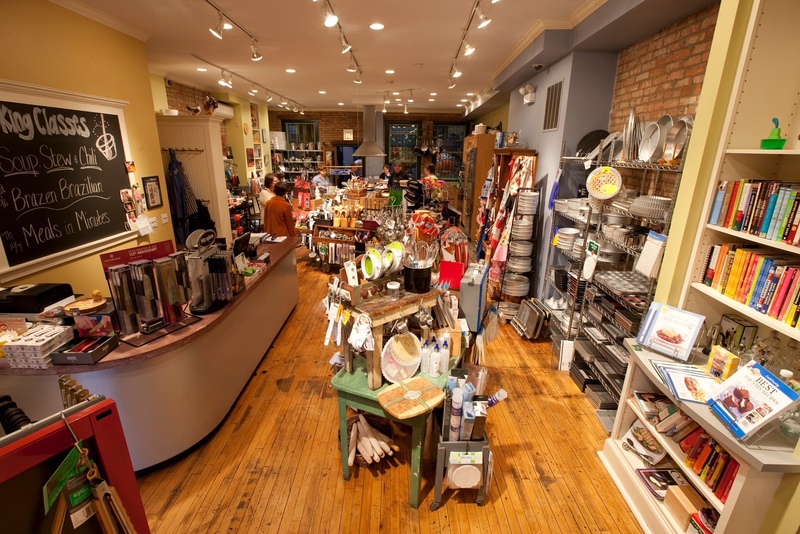 Husband and wife Trina and Sean Sheridan took a chance back in 2002, when they decided to offer top-of-the-line cooking products at reasonable prices in a warm atmosphere, paired with a professional kitchen in which visiting chefs would come in to offer lessons. 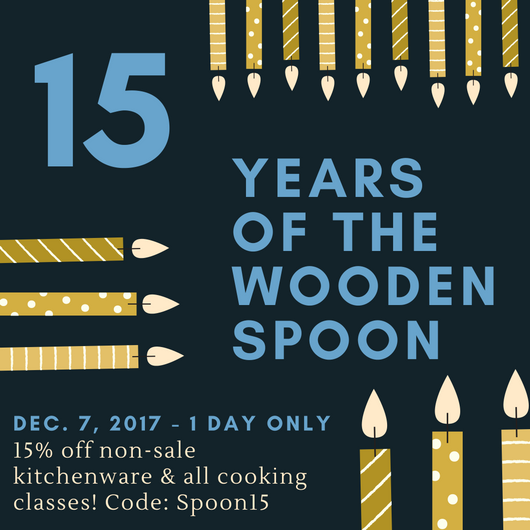 In addition to the lessons and cooking products, the Wooden Spoon can be rented for private events. It's located at 5047 North Clark, between Winnemac and Carmen. Stop by any time and see what they've got -- but if you go on Thursday, there are discounts waiting. Hours are 11am-6:30pm. Visit the website here, with a list of classes here. * For those who think we're promoting a business outside of Uptown -- Andersonville is an unofficial neighborhood designation. 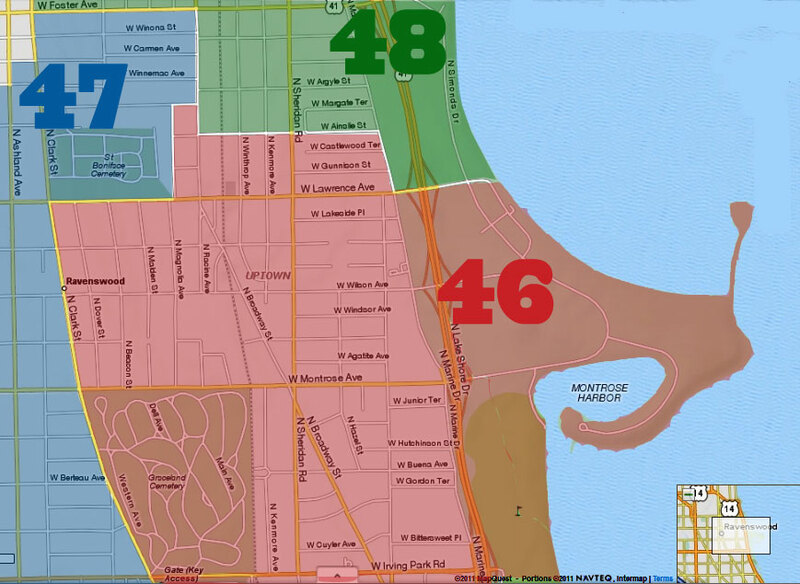 It covers parts of the officially designated Chicago neighborhoods Uptown and Edgewater, primarily along Clark Street. 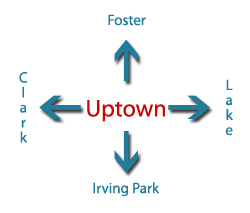 Foster is the dividing line between Uptown and Edgewater.